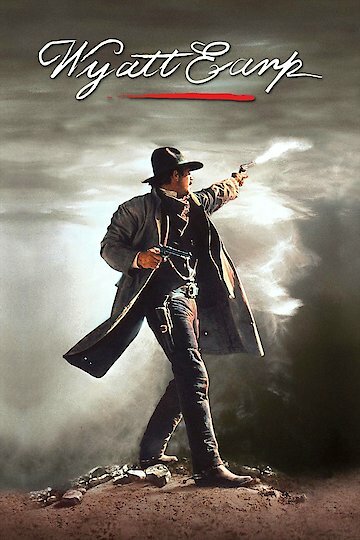 Wyatt Earp is a 1994 historically based American Western film, starring Kevin Costner in the title role. The film follows the life of the Western lawman, Wyatt Earp, starting from his teenage years, and presents itself as a biography on his life. A good portion of the film involves the early years of Wyatt Earp, something that is usually overlooked in history, due to his fame as an adult. These parts of the film show his interaction with his family, as well as his various moves across the country, before he became a lawman. As a lawman, the film shows his various adventures, including the controversies that surrounded him. Along the way, we are introduced to the various people he met during his life that either befriended him or became his enemies. As film slowly progresses, it shows the viewer exactly how Wyatt Earp became the famous lawman he was, and how he recognized his fame and dealt with it, as well as balancing his life, family, and job. Wyatt Earp is currently available to watch and stream, buy on demand at Amazon, Vudu, Google Play, FandangoNow, iTunes, YouTube VOD online.